Fully insured 24 HOUR Roadside breakdown recovery and towing. Keltic Recovery are committed to the highest standards of vehicle recycling, and Certificates of Destruction are supplied for all vehicles. 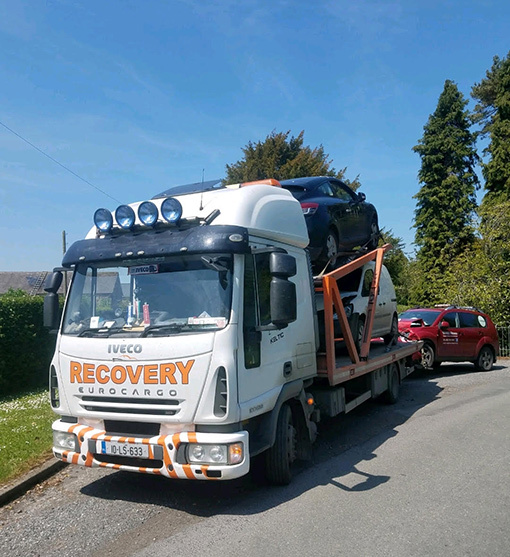 Keltic Recovery, based in Kildare and Carlow, offer breakdown assistance, vehicle towing and salvage transport nationwide. 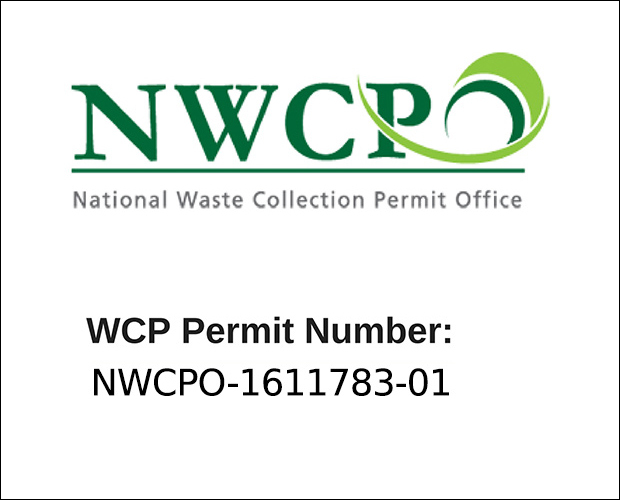 We also hold an NWCPO Nationwide Waste Collection Permit. Passenger cab vehicle for roadside assistance customers, and vehicle storage facilities are also available. Whether you have a tyre puncture, a dead battery or you need to top up your fuel, we are available 24/7, 365 days a year. If we cannot fix your problem at the roadside, we will transport your car to the nearest available place of maintenace and repair. We are 5km from the M7 (Junction 10) motorway and 20 minutes from the M50. Fast, efficient reliable service. We will do our best to fix your problem and get your car/van/4x4 back on the road. We have passenger cab vehicles available to transport you and your car away from the scene of the accident, and have secure storage facilities available. 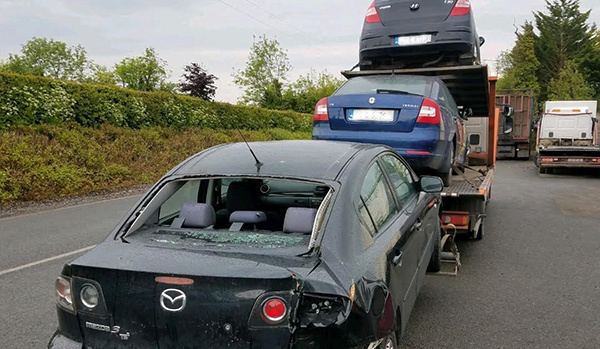 We transport damaged vehicles throughout Ireland, and collect salvage vehicles from all Irish salvage yards. 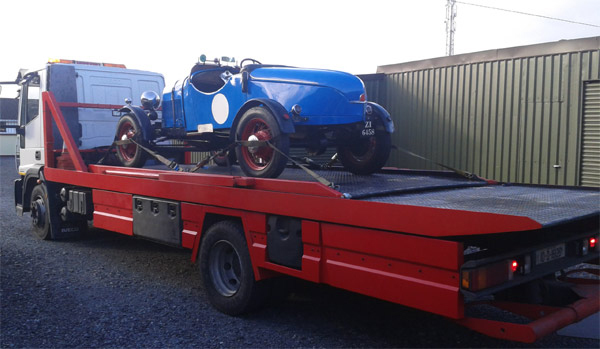 We are also experienced in the transportation of vintage and classic cars, and our experienced and professional personnel will ensure your vehicle arrives at your destination in perfect condition. KELTIC RECOVERY provide emergency vehicle recovery services Nationwide, 24/7, 365 days a year. We are a fully registered breakdown recovery service. "Many thanks Tommy. Fully professional service. Highly recommended." "Could not recommend them highly enough. Excellent service." "Fantastic service at a very reasonable price. Highly recommended." "Very quick response, would definitely use again and would recommend this company to everyone." "Great service, quick and reliable. Would definitely recommend." "Excellent service and quality. Will very recommended." Keltic Recovery, Corrigmount House, Caragh, Naas, Co. Kildare.